MonkeyJunk, the award-winning Ottawa band, draws heavily on the legends of the blues and translates those influences into a contemporary blend of what the group defines as “swamp R&B, soul boogie and bedroom funk.” To Behold is the band’s second album — the first was the independently released Tiger in Your Tank, which got five awards at the Maple Blues Awards on 2010 (Electric Act of the Year. Entertainer of the Year. Guitar Player of the Year, Vocalist of the Year and Harmonica Player of the Year) and was named, just after, Best New Artist Debut at the Blues Awards in Memphis. Finally, MonkyJunk just got also three new awards at the Maple Blues Awards on 2011 : Electric Act of the Year. Drummer of the Year, Harmonica Player of the Year. The second album from this unusual blues-rock trio finds the band continuing to explore the borderlands between swamp boogie, funk, R&B, country, Delta blues, and Chicago blues, with consistently fruitful results. Operating without a bass player (vocalist Steve Marriner plays guitar, keyboards, and harmonica, while Tony D plays lead guitar and Matt Sobb plays drums), MonkeyJunknevertheless generate a dark and thoroughly grounded groove -- or perhaps one should say "grooves." "Right Now" is Texas-style funky blues, heavy on the wah-wah pedal; "Running in the Rain" is full-tilt barrelhouse blues with a strong R&B undertow; "With These Hands" is a lovely example of Muscle Shoals-style soul music, and a song that Dan Penn would have been proud to write; but perhaps best of all is the group's arrangement of the Hank Williams classic "You're Gonna Change (Or I'm Gonna Leave)," which takes that vintage honky tonker and turns it into a snarling, harp-driven Delta blues workout complete with greasy slide guitar and a vibe that evokes a more heavyweight Tom Waits. 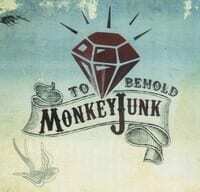 Throughout the album it's hard to say whether Marriner's singing or Tony D's stinging lead guitar is the true anchor of MonkeyJunk's sound, but either one would be sufficient. The band is only a few years old, but sounds as if it has been aging and ripening its sound for decades.